Facebook on Monday unveiled its first smart speaker -- a device to compete with Amazon, Apple and Google products, but with an emphasis on video calling. The Portal and Portal Plus devices are Facebook's first hardware products since its Oculus virtual-reality devices in 2016. 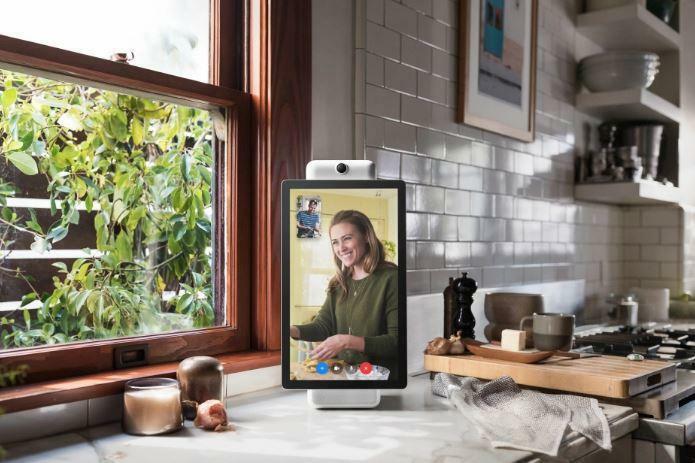 The Portal speakers can initiate video calls when a user vocally requests them, and a Smart Camera feature uses artificial intelligence to frame users on a 10- or 15-inch screen as they move around a room, Facebook said. The devices can also stream music and are equipped with the question-answering Alexa voice digital assistant. Portal and Portal Plus will begin shipping in November. Pre-order costs are $199 for the device with the 10-inch screen and $349 for the larger screen. Smart speakers are an estimated $6.7 billion market, research firm Strategy Analytics said, and could grow to $23 billion by 2023. Amazon currently has 34 percent of the market, and Google 22 percent. Facebook is late in entering the market and could face trust issues from potential customers. The company admitted it was involved in the spread of misinformation during the 2016 presidential election in the Cambridge Analytica scandal -- and the company disclosed just last month a security breach that may have compromised more than 50 million accounts.